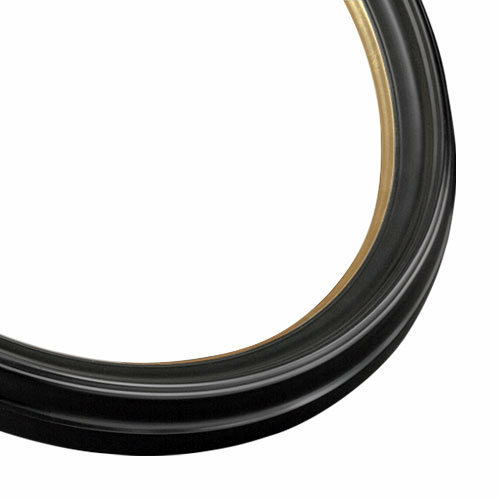 This oval frame features a classic crown profile, finished in satin black with a bright gold accent along its inner edge. 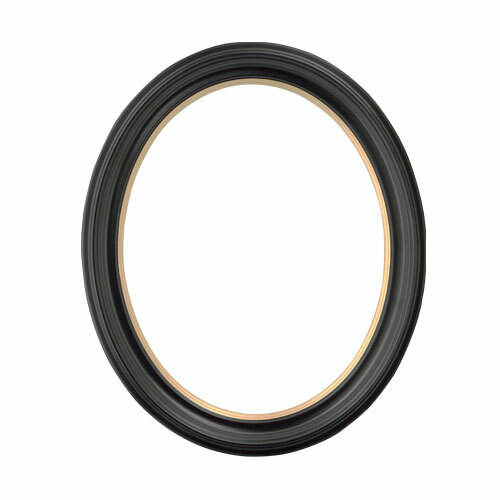 Please note: oval frame measurements list the maximum width and height of the frame. If you're framing a rectangular piece, the corners will need to be trimmed before installing into an oval frame. Frame profile measurements shown are for 8x10 and 11x14 sizes; 16x20 size is proportionally larger, at 2" wide. 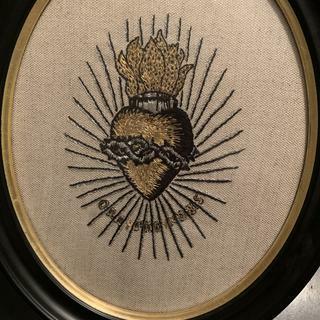 8" x 10"11" x 14"16" x 20"
The frame is perfect for the needlework piece. I had priced custom oval frames from local framers and they were 10x the price. I’m very happy with the product and service! Finding this unique frame was unexpected, I thought I would have to custom order. It came in perfect condition and my canvas fit perfectly. engagement and wedding picture of my son and his new wife. I was looking for something traditional and different. This was perfect. Can I use this frame with a stretched canvas? BEST ANSWER: Yes if the stretched canvas is oval you can.